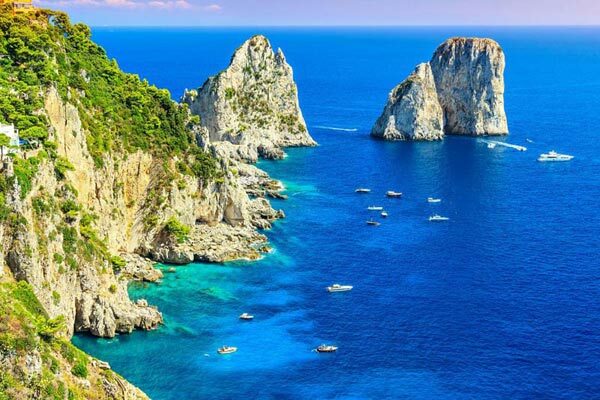 After arriving in Capri – the great holiday destination, proceed on your own to the hotel from the pier. After completing the check-in formalities, you are free to spend the day as per your own liking. If you want, you explore the place on-foot to get a feel of this beautiful island. Overnight stay in Capri. After breakfast, day 2 of the tour is at leisure, you can explore the famous location, natural formations and other attractions. If the weather permits, you can also visit the Blue Grotto on your own. It is a beautiful sea cave on the coast of the island. 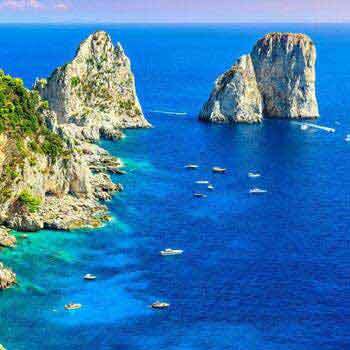 Stay overnight in Capri. After breakfast on the last day of the tour, get transferred on own to the pier to proceed to your onward destination.